The Hollywood movie studio system is a prime example of the "economies of scale." Most filmmakers bring in tens or even hundreds of millions of dollars a year… because they spend tens or even hundreds of millions of dollars a year to produce and release big-time movies. Hey, you've got to spend money to make money, and production houses do just that, sinking lottery-size jackpots into bringing a director's unique artistic vision to the screen — ones they think just might also capture the hearts and minds (and ticket dollars) of huge swaths of the population. Sometimes it works out, and they've got a hit on their hands… and sometimes it doesn't at all. Not all movies can be hits (there's lots of competition, after all), and some of them whiff so hard in pursuit of commercial glory that they end up falling into the dreaded "box office bombs" category. Some of those tankers are such duds that they don't just lose a studio millions, or put a damper on the career of the director or actors involved; they're so expensive and so financially unsuccessful that they put the whole company out of business. Here's a look back at some historic bombs that bankrupted studios. In 1979, animator Don Bluth left Disney to strike out on his own. He made films like The Secret of N.I.M.H, An American Tail, and The Land Before Time — outpacing his old employer, which was stuck in a fallow period full of relative duds like The Great Mouse Detective and Oliver and Company. After Disney recovered with The Little Mermaid in 1989 and produced bona fide blockbusters Aladdin (1992) and The Lion King (1994), most every other movie studio in Hollywood wanted their own animation division. Thus Fox Animation Studios was born, and Don Bluth got to run it. In 1997, the company released the critically acclaimed Anastasia; less than three years later, the studio was done. In June 2000, Titan A.E. 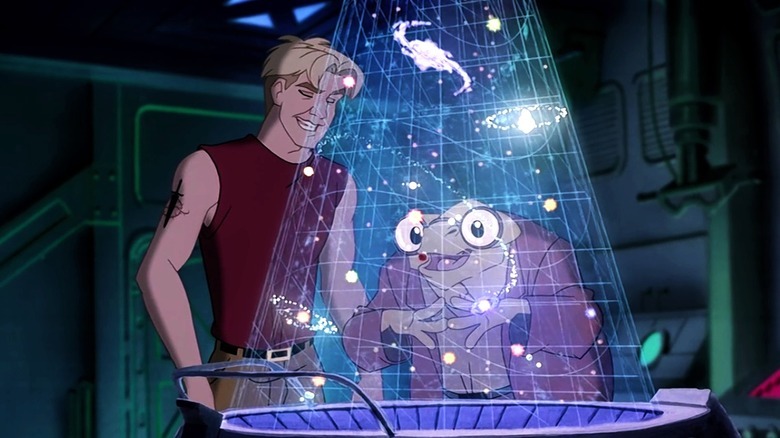 hit theaters, a lush, traditionally-animated movie that looked stunning as its characters (voiced by Matt Damon and Drew Barrymore) flew through space and braved alien worlds. Fox Animation spent $85 million on the film… which was targeted at a teen audience, not a big animation market. 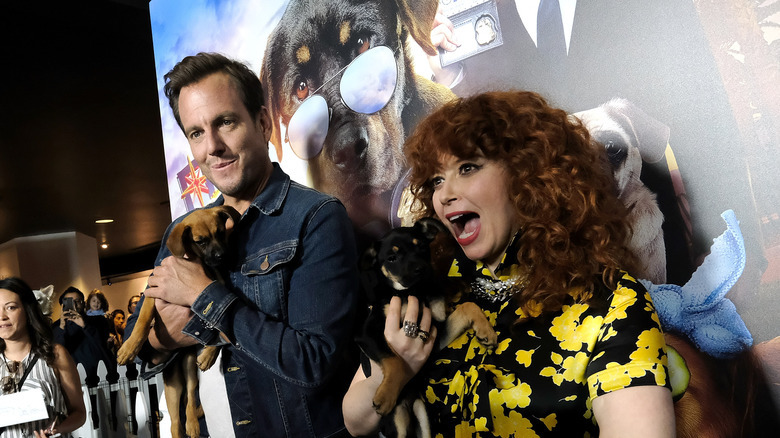 It earned $9 million on its opening weekend; a week later, Fox announced it was closing the studio. The writing had already been on the wall, though. In December 1999, executives forced Bluth to lay off 80 percent of his animators — after the box office bonanza of the computer-generated Toy Story 2, Fox leaders realized that hand-drawn animation was on the way out. From its creation in the 1970s and even after Warner Bros. bought a controlling stake, New Line Cinema was a mid-major movie studio that acted like an indie, taking chances on edgy, quirky movies like Pink Flamingos and Boogie Nights. Those gambles often paid off, too: New Line's peak came when the third part of its The Lord of the Rings trilogy won 11 Academy Awards. 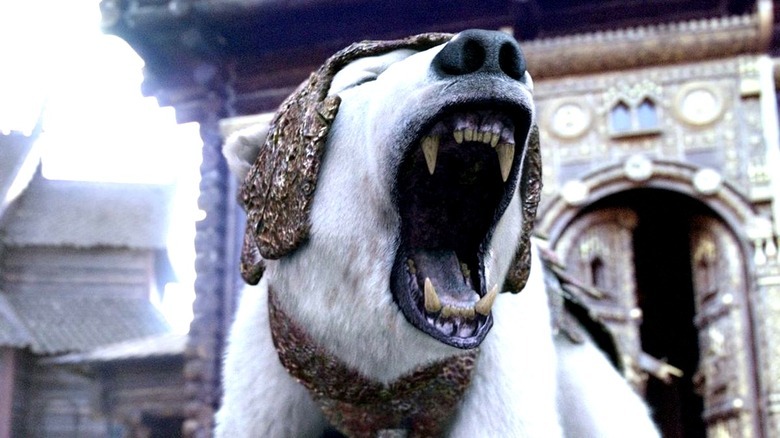 Four years later, New Line wanted another fantasy series cash cow, like The Lord of the Rings, or parent company Warners' Harry Potter films. 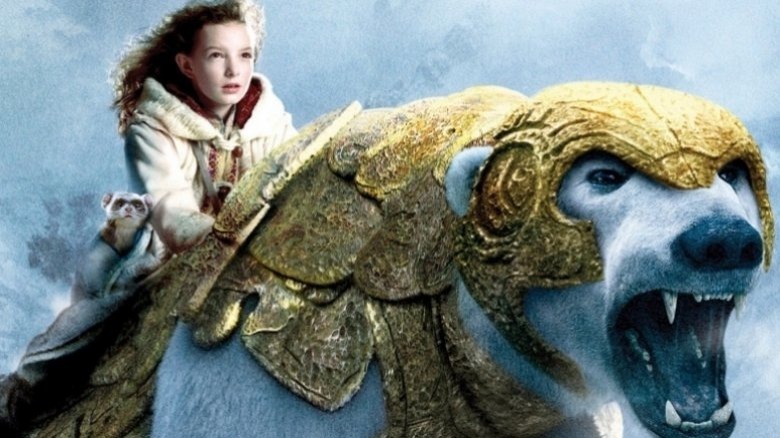 It put a version of The Golden Compass, Philip Pullman's first entry in the His Dark Materials trilogy, into production. New Line pumped $200 million on the project, more than it had spent on anything, including The Lord of the Rings. To offset production costs, the company pre-sold the overseas rights to Compass, meaning that when the film hit theaters outside of North America, it wouldn't recoup a dime. That made profit virtually impossible… as did the film's relatively small $70 million domestic take. This fiasco was the main reason Warner Bros. absorbed New Line into its existing film production divisions in February 2008, ousting chief Bob Shaye and 90 percent of New Line's employees. In 1994, Carolco Pictures had two projects in the works: the pirate adventure Cutthroat Island and the Arnold Schwarzenegger epic Crusade. Short on funds, Carolco decided to not waste another penny on Crusade, essentially throwing away the $13 million it had already spent on the movie, so as to place all its eggs in one basket — the pirate movie. A foolhardy move for sure — the only successful pirate movie in the previous decade or so was Hook. But Carolco thought that this passé genre would be just the thing to return the company to financial solvency. (Since it was the studio's only movie, they didn't really have a choice.) Another odd decision (or omen) was that non-action stars Geena Davis and Matthew Modine were entrusted to head up this action movie. 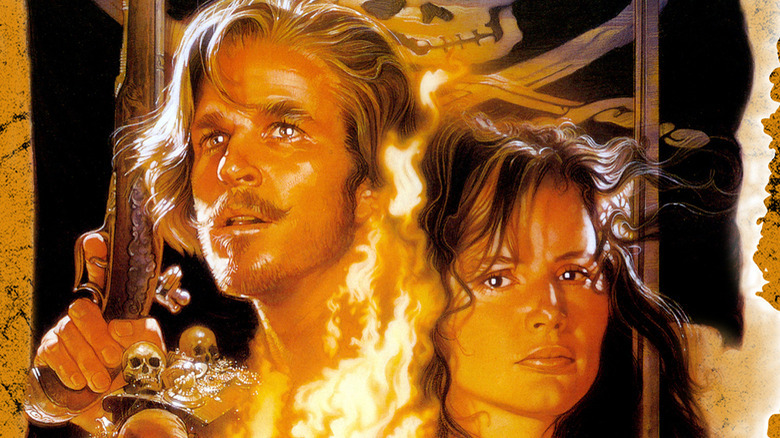 At least onscreen, Cutthroat Island looked like a million bucks… which is about 1 percent of how much it cost to make the movie and a tenth of what it earned. Carolco spent an astounding $98 million on Cutthroat Island, only to watch the movie sink at the box office with a $10 million haul. The studio ultimately had no faith in its expensive last gasp — the company filed for bankruptcy in November 1995, six weeks before Cutthroat Island hit theaters. From Tekken to Postal to Super Mario Bros., movies based on video games are almost categorically awful. One of the better ones, according to critics? Final Fantasy: The Spirits Within. One of the first computer-animated movies, it's an absolutely stunning piece of work and a technical achievement, as it's the first movie to render everything digitally, including largely realistic human characters. Starring the substantial voice talents of Ming-Na Wen, Alec Baldwin, and Ving Rhames, The Spirits Within is based on a long-running, thoughtful, and mystical series of video games. With 142 million units sold overall, Final Fantasy is among the best-selling game franchises ever, but that's still a small cross-section of the moviegoing public. 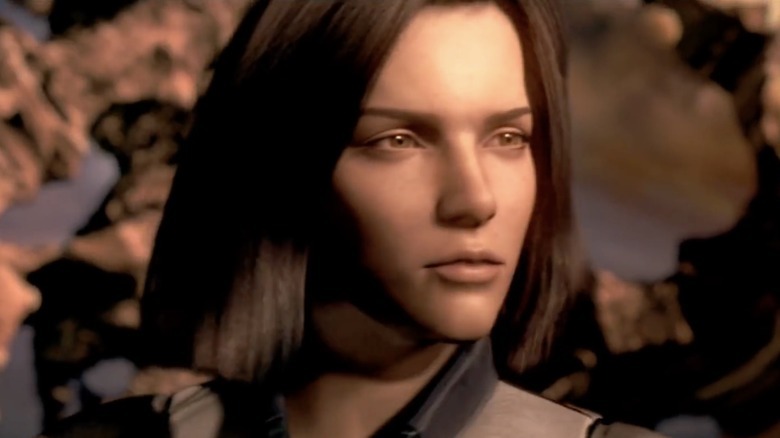 The film apparently lacked crossover appeal, because despite all that amazing animation, Final Fantasy brought in a weak $32 million in North America. That wouldn't be so terrible if filmmakers hadn't spent $137 million to bring it to the screen. The film was the first ever produced by Square Pictures, an offshoot of gaming company Square. It was so expensive that it would also be the division's last, as the parent company soon absorbed it into the newly formed Square Enix. One of the biggest emerging markets for movies is China, and Global Road set out to get in on that potential box office while also making movies that North American filmgoers might enjoy. It failed both segments. Desperately in debt (somewhere between $100 million and $500 million) to creditors like Viacom, Disney, and NBCUniversal in the summer of 2018, Global Road started laying off staff and selling the distribution rights to movies not yet released. One of those unreleased films: City of Lies, about the murder investigation of Notorious B.I.G. The Deer Hunter won the Academy Award for Best Picture and a Best Director trophy for Michael Cimino, providing the filmmaker the clout to get his dream project made. That film: Heaven's Gate, which concerned an obscure 19th century historical event called the Johnson County War, in which immigrant settlers challenged the power of local cattle ranchers. But this was not a straightforward period piece — Cimino aimed to make an epic about the history of America and what America means, including sequences revolving around baseball, graduations, roller skating rinks, and bordellos. In other words, an achingly slow, detailed, and complex movie… and box office poison. Filming began in 1979, and somehow the film fell five days behind schedule after six days of shooting. Cimino had already spent $1 million in pursuit of 90 seconds of footage. There was no way Heaven's Gate would hit its Christmas 1979 release date or stay under its $7.5 million budget. In fact, Cimino didn't even turn in a cut to studio United Artists until mid-1980, having spent an estimated $40 million. Oh, and his cut was five hours long. Thankfully and necessarily trimmed for theaters, Heaven's Gate earned a paltry $3.4 million. Heaven's Gate sent United Artists into chaos. After months of rumors around Hollywood that the only way UA would survive was with a buyout, MGM bought the studio for $350 million. As one of the most popular sitcoms of the 2000s, the American version of The Office led to movie careers for several of its stars, notably Steve Carell (Beautiful Boy), John Krasinski (A Quiet Place), and Ed Helms (The Hangover) — but not, strangely, Rainn Wilson, who portrayed Dunder Mifflin weirdo/beet farmer Dwight Schrute. Wilson's first shot at leading man status came courtesy of the 2008 comedy The Rocker. 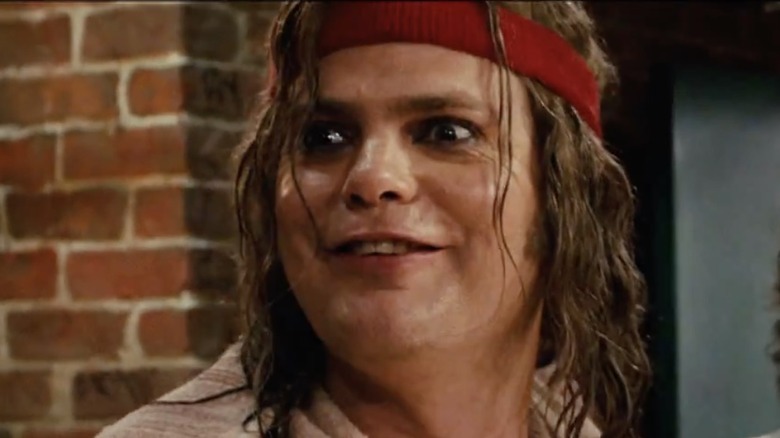 Wilson played Fish, the drummer for an '80s hair metal band who the rest of the group (played by Bradley Cooper, Will Arnett, and Fred Armisen) kicks out just before they become hugely successful. In the present day, Fish is a loser until he joins his nephew's rock band, ultimately finding success and redemption. Despite the stellar cast — which also included Emma Stone and Teddy Geiger as Fish's young bandmates — audiences didn't think The Rocker rocked. It grossed just $2.6 million over its opening weekend, at the time the worst performance ever for a widely released movie. It quickly disappeared from theaters, and soon thereafter, so did the division of Fox that released the film. Fox Atomic had been created in 2007 to bring out cool comedies and edgy horror movies. In early 2009, thanks in part to the spectacular failure of The Rocker, Fox shut down the group. Francis Ford Coppola is undeniably a filmmaking genius. A leading voice in the 1970s "auteur movement," in which directors are considered the "author" of a film and the entire production cedes to their vision, he directed some of the best movies ever made, including The Godfather and Apocalypse Now. By 1982, Coppola could basically do whatever he wanted in Hollywood, and that meant filming a passion project called One From the Heart, made under his own shingle, American Zoetrope. Coppola's best known works have almost universal appeal — at their cores, The Godfather is a story about family, and Apocalypse Now is about the horrors of war. 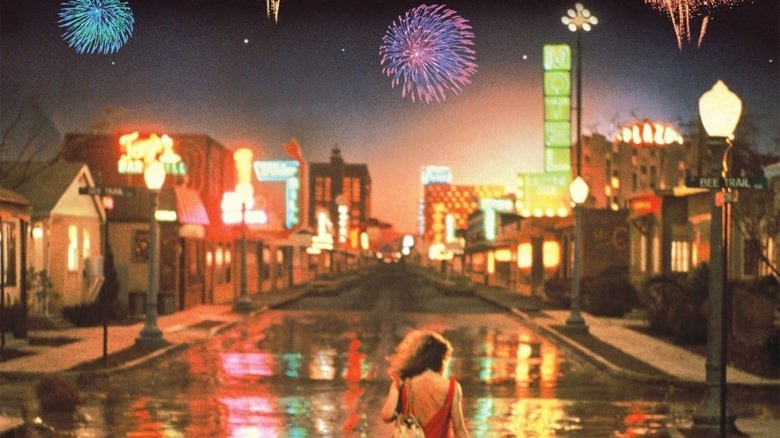 One From the Heart, however, is a strange, blue-collar romantic comedy set in a purposely artificial-looking Las Vegas, with painted backgrounds and a built-from-scratch replica of Vegas' McCarran Airport. Coppola experimented in his filming technique too, using both video and film stock during production. Total cost of Coppola's bewildering folly: $27 million. Box office haul of One From the Heart: $637,000. The film faded from theaters and memory, but not from the ledgers. In 1992, Coppola filed for bankruptcy to protect himself, his wife, and his companies, Zoetrope Productions and Zoetrope Corporation. He was in the hole for tens of millions, in large part due to the personal and professional financial losses suffered during One From the Heart.